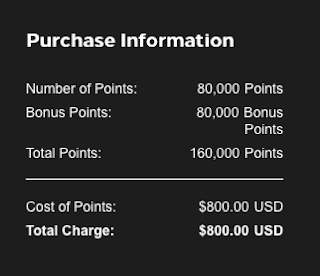 Hilton Honors has released their latest buy points promotion for their members. Unlike the offer towards the end of 2018 that ranged from 80 to 100% this one is a flat 100% if you buy 10,000 or more points at one time. 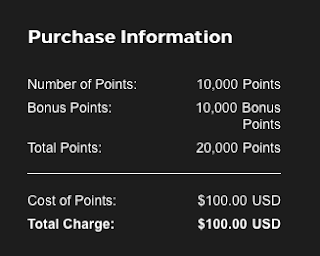 This means you are paying US$ 0.5 cents per point which can be easily redeemed at values of 0.8 cents or more! As you can see the best rate is US$556 (and that's a non-refundable pre-paid rate) while the points required is 95,000. 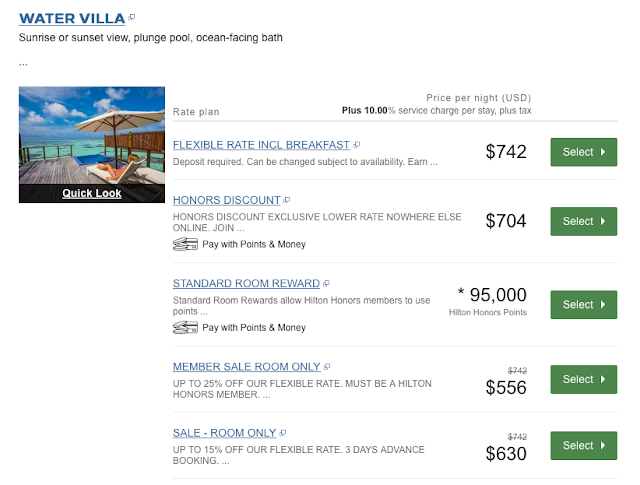 With the 100% bonus 95,000 points would cost US$475 (+5% GST for us Canucks since Points.com is Canadian) so US$498.75 in total for that room which is less than any of the rates listed above. Remember reward nights start out at only 5,000 points so you could essentially get 4 nights at the lowest level by only buying 10,000 points (+10,000 bonus) for only US$100.